You may or may not know but there’s been a campaign gathering momentum online encouraging people to shop at small and independent local stores for their Christmas shopping. Its that time of year when everyone gets a little bit crazy so isn’t it worth splashing that cash where it’ll really make a difference? As well as offering your friends and family something really unique and lovely to open on christmas day, shopping at local stores, craft fairs or small online retailers and designers will mean you help those places – they will really feel the benefit of your purchases. With that in mind I thought I’d give a run-down of my current top 3 stores online and inspire you with some amazing designers – for your shopping delectation, enjoy! Honestly now, lets just have a look at Alice Apple’s logo shall we, doesn’t this just scream amazing? 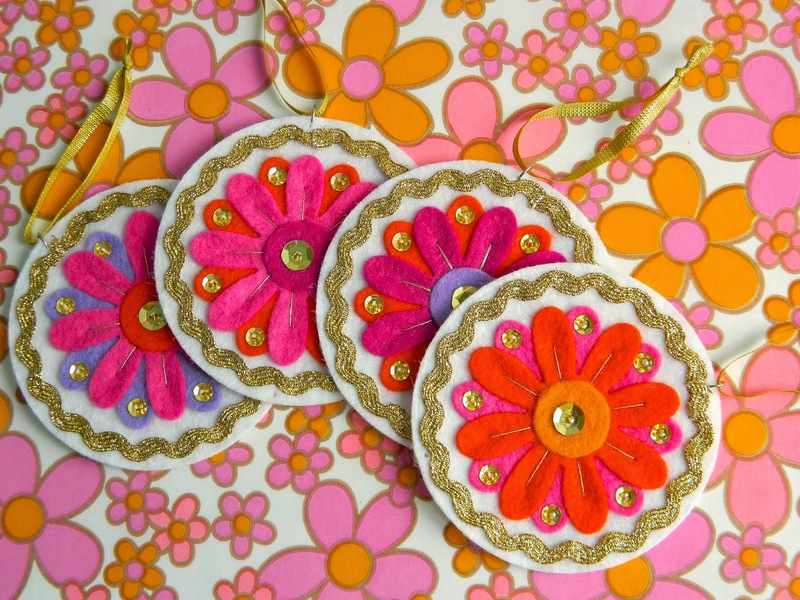 I defy anybody not to completely fall in love with Alice Burrows’ website with its kitsch retro colours and designs. 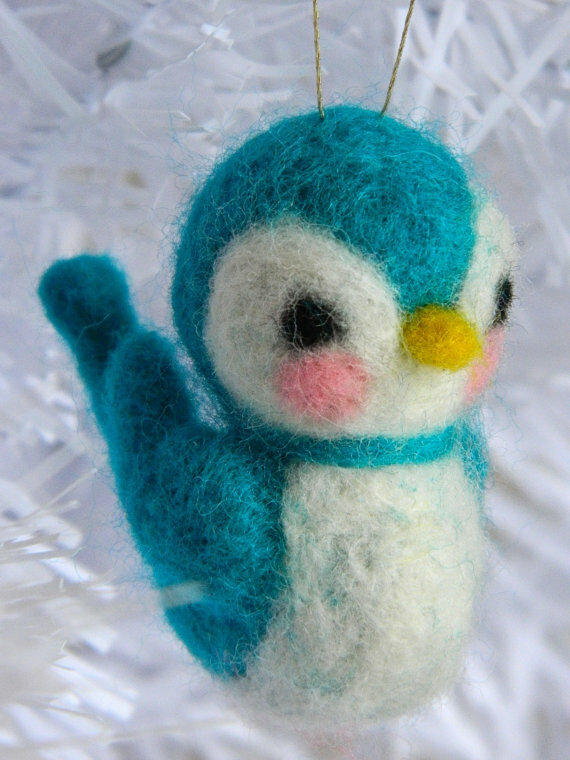 Just browsing through the blog basically makes me want to throw all of my christmas decorations away and replace them exclusively with her lovely hand sewn or hand-felted objects. Unfortunately these little beauties sold out before I could get my mitts on them, but these gorgeous hand-felted birds are still available! Yay! 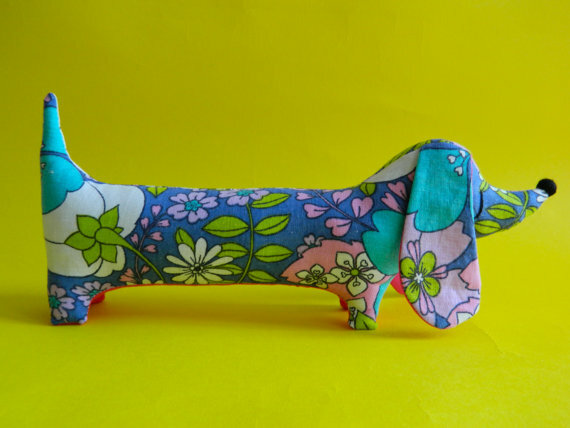 I’ve also had a late addition to my christmas list – she has a range of these amazingly cute little dogs in retro and vintage prints available – so gorgeous! I must own one! View the collection here. And so they’re a really amazing one stop shop for presents – I’ve bought some lovely jewellery and scarves, but mostly I’m head over heels in love with the tableware selection they have. 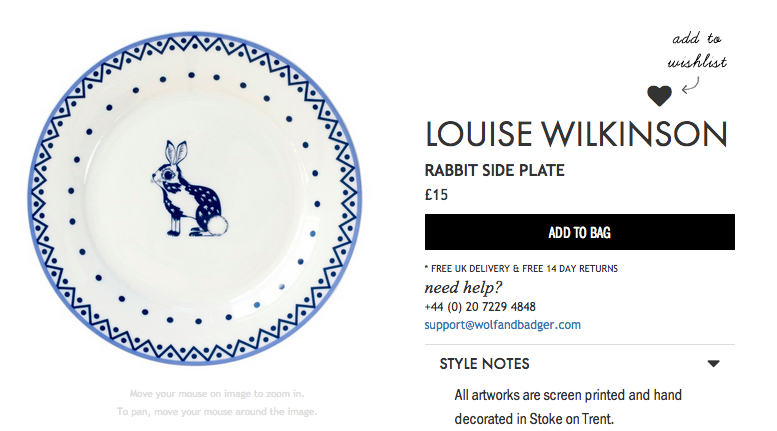 There are a range of items by the amazing designer Louise Wilkinson, and this rabbit side plate is one of the loveliest. I think I’d basically be happy with anything she produces for Christmas – maybe it’s time to get rid of all of my tableware and buy new? You can buy the plate here. 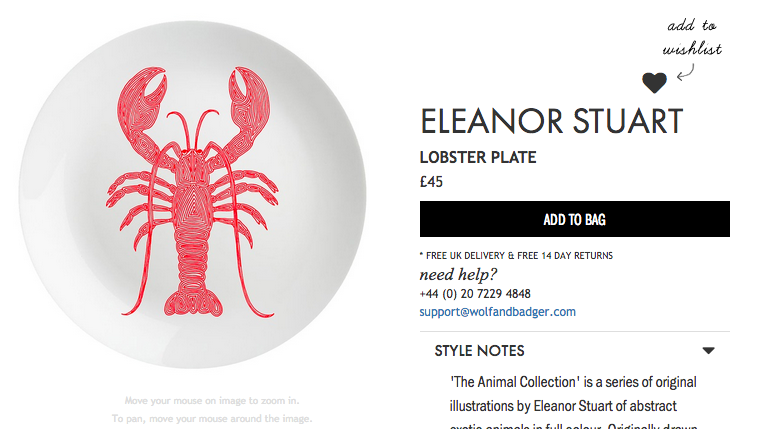 Lobsters are always a winner in my book, so maybe I should reconsider and get this Eleanor Stuart one instead… decisions decisions… Buy the plate here. 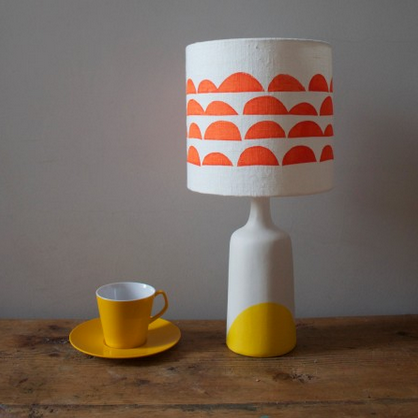 It’s coincidentally called the Sunshine Dip lamp, and it’s by Camilla Westergaard (otherwise known as Butterscotch and Beesting) – isn’t it just beautiful? You can also check out Butterscotch and Beesting on Etsy. 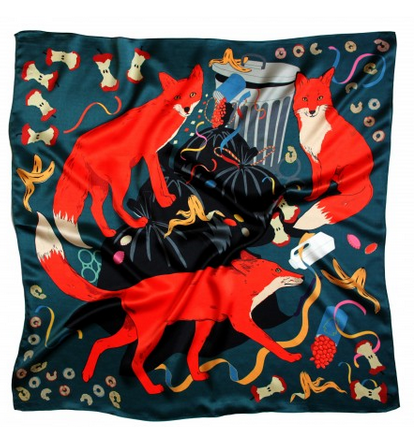 I do love a humorous scarf, so this design of a load of foxes raiding a bin – it appeals in a way that I don’t think an Hermés original ever will – plus it’s much more affordable! It’s by Karen Mabon and you can buy it from Howkapow here. 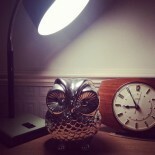 This entry was posted on December 6, 2014 by antiqueowl in Kids, Online owling, Owling at home and tagged Alice Apple, Butterscotch and Beesting, christmas, decorations, design, Eleanor Stuart, felt, foxes, gifts, Howkapow, illustration, Karen Mabon, kitsch, lamp, Louise Wilkinson, Online, retro, scarf, Shopping, Wolf and Badger.